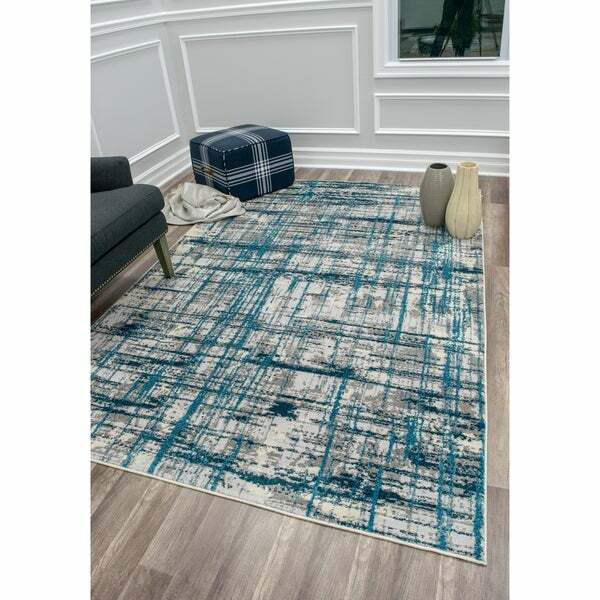 Step into the 21st century with CosmoLiving 's line-heavy Taylor rug. Its soft-touch finish shines in its full glory and sets the stage for a bold abstract pattern in shades of ivory and blue. Woven in Turkey, this one has a vintage-meets-contemporary feel that's amplified by its low pile and sturdy construction.